1. Metal roofs can be made from a variety of metals and alloys including Galvanized steel — hot-dip zinc galvanized G-90 and G-60 steel (a less expensive, thinner-gauge steel, often used in low-end, lower-cost corrugated and ribbed metal panels), Galvalume steel — zinc and aluminum coated steel (A more expensive and longer-lasting coating compared to G-90 galvanized steel. ), stone-coated steel (G-90 galvanized steel), aluminum, copper, zinc, terne (zinc-tin alloy), and stainless steel. The downside of galvanized steel (G-90, and especially G-60) is that it can corrode, eventually, especially when exposed to moist, salt-spray environment such as when your home is located in close proximity to the ocean near the coastal areas. Steel is the most frequently used material in both residential and commercial applications, mainly due to its lower cost. Aluminum is the second most popular material. It is more durable and longer-lasting than steel, but only costs a fraction of the price of premium metals, such as copper or zinc. Aluminum is also one of the best metals to use for roofs located in coastal areas (think those beach homes), where there is a heavy presence of salt spray in the environment. Copper roofs are the most durable and can last for hundreds of years. However, due to prohibitively high cost, few people choose to install an entire roof made from copper. Instead, home and business owners choose copper for architectural details/accents on the roof (bay windows, towers, porches, low slope roof sections, Et cetera). $350-425 per square. Steel shingles run about $270 per square of materials. Aluminum is a step up from steel in terms of quality, and therefore in price, costing about $100 more per square than galvanized steel, for both standing seam and metal shingles. The most expensive and premium metals are copper and zinc. They cost roughly the same. Copper is typically installed as copper pans or standing seam panels costing $900-1,400 per square. for materials alone. Steel roofs need to be coated with a special protective (galvanic) coating to prevent corrosion. — Galvanized and Galvalume steel roofing systems are pre-coated and pre-painted by the manufacturer of the metal coil. The metal panels do not require any further coating. High-end Aluminum and steel roofing systems like standing seam and metal shingles will normally have a high-quality paint finish such as Kynar 500 applied, while lower-end corrugated steel panels are typically finished with Acrylic paint. cost and hassle associated with the shingle tear-off (be sure to consult your contractor about the possibility of “over-top” installation for your specific roof). — This is generally possible because metal is an extremely light-weight material. Metal roofs should only be installed by specialists with expertise and ample experience in installing metal roofing, because if the installation is done incorrectly a metal roof will develop leaks (or outright fail prematurely as in the worst case scenario), which may later end-up costing thousands of dollars to repair or replace. Unlike many other roofing materials, a metal roof can easily be installed in the winter. Most metal roofing systems should be installed on homes or buildings that have a minimum slope of 3:12 or greater. Although there are certain types of standing seam metal roofing systems that can be installed on roofs with slopes of 2:12 and lower, those types of systems are usually only installed on commercial or industrial buildings. Ideally, standing seam should not be installed over asphalt shingles due to telegraphing of the shingles underneath the standing seam panels. Also, metal roofs tend to expand and contract due to temperature changes, and can thus rub against the stone coating on asphalt shingles. – This could eventually cause some corrosion and rusting on the underside of metal panels. Standing seam roofs can be manufactured either on-site or in the factory, which simplifies the installation process. Metal shingles are typically manufactured at a factory, and can be shipped in standard cardboard boxes directly to your house or work-site. because installing metal roofing requires specialized training, knowledge, tools and equipment that general roofing contractors typically lack. The cost of installation greatly depends on the complexity of the roof and the type of material/system installed. The base price to install a corrugated steel roofing system starts at around $350 per square for materials and labor. The base price for metal shingles ranges between $700-1,000 per sq. for materials and labor. The base price for a stone coated steel roof starts at $850-1,100 per sq. for materials and labor. The base price for a standing seam roof ranges between $750-1,400 per sq. for materials and labor. The base price to install a copper or zinc roof starts at $1,800 per sq. for materials and labor. If a tear off is necessary, it is normally a separate cost of about $100-150 per square. You can estimate the cost to install a new metal roof including materials and labor with the help of a free calculator here, option 2, option 3, option 4. Many modern styles of metal shingles are manufactured to imitate the look of slate, clay tile, cedar shake, and in some cases even the traditional look of asphalt shingles. Modern metal roofs come in well over 100 colors, which include standard, premium and customized colors. The number of color options for metal roofing is a lot greater than the options you get with asphalt shingles roofs (only about 15-20 standard colors). Often, homeowners are not even aware of the existence of metal shingles, and mistakenly believe that standing seam is the only option for a metal roof. High-end metal roofs such as metal shingles/tiles and standing seam are considered a lifetime system. This means that if a metal roof is properly installed, you will not have to install another roof on your home or building again. Metal roofs such as aluminum or steel shingles can last for 50 years and often longer, while copper and zinc roofs can often last well over 100 years. — This means that a typical metal roof will last about 3-7 times longer than a typical asphalt shingles roof, which usually needs to replaced every 12-17 years. Thanks to their exceptional durability and longevity, metal roofs have a very low life-cycle cost. — This means that while you may spend more upfront on a metal roof than on an asphalt shingles roof, in the long run you will actually save money, because you will not need to repair or replace a metal roof again. Most manufacturers will provide a 30-50 year warranty, while your installer should offer you his own installation warranty. Metal roofs are considered to be ice and snow-shedding systems, which means that you will never have to worry about roof leaks. Metal is non-combustible, and so a metal roof will never catch on fire like cedar and some asphalt roofs. Metal roofs will not rot, split, crack, dry-out, chip, warp, leak, unlike all other common roofing materials. Generally metal roofs require none or minimal maintenance. Corrugated style metal roofs (with exposed fasteners) will require fastener re-tightening every 10-15 years. After years of service, you may choose to repaint a metal roof to give it a fresh look again, but it is not necessary, and will depend on your roof’s original coating. A metal roof can easily help save as much as 25% off of your annual home energy bill, and help reduce your building’s overall energy waste. In fact, according to a US independent report by the Oak Ridge National Laboratory “2008 ACEEE Summer Study on Energy Efficiency in Buildings“, homeowners can save up to 40% in home cooling costs in the summer, and 10-15% in home heating costs, based on a strapping system of 4 inches between the plywood and the metal on top. A metal roof has a cool reflective surface, which reflects solar heat back into the atmosphere, rather than absorbing it inside a home or a building. Copper and zinc are the least energy efficient types of metal roofing. Due to darker colors and thicker gauge of metal, they absorb and store more heat compared to aluminum and steel. However, they are still much “cooler” and green than asphalt shingles. Out of all the roofing materials available for residential uses, metal provides the greatest return on your investment (ROI). The national average on cost recouped at resale is 86%. The average recouped cost on the East Coast is as high as 95.%. A metal roof can be a remarkably significant selling point in the eyes of potential home buyers. Not having to re-roof again, is as good as it gets for most homeowners. The curb appeal and beauty of a metal roof can also be a great asset when it comes to attracting prospective home buyers to your property. If you happen to live in an area that often experiences a heavy snow fall, with freezing temperatures, a metal roof will shed off the snow, thus helping prevent a heavy snow accumulation and ice dams on your roof. — Learn more about it here. If you are concerned about “noise” when it rains, rest assured knowing that a metal roof installed over solid sheathing (whether wood planks / boards or plywood) will be as quiet as an asphalt shingle roof. The difference in sound level (measured in decibels) produced by rain drops hitting the roof surface of an asphalt shingle roof compared to metal will be largely undetectable to human ear. A metal roof offers better ROI (in terms of home appreciation and maintaining a very high recouped value of your initial investment) than any other remodeling upgrade. – This can be especially important if you care about maximizing your home’s value and curb appeal for many decades to come. Should you ever decide to sell your home, you are almost guaranteed to come out a winner, especially if you’ve lived in your home for quite some time, while enjoying solid protection, great looks, curb appeal, and energy savings that add up over the years and help shield your wallet from rising energy costs. We live on the West Coast of Florida, Sarasota Bradenton. Contractors have told me that local Manatee County Code? prohibit metal or any roof to be installed over our still good shingles. Is that true, and why would that be the code requirement? Florida, especially counties near the coast lines have some of the strictest building codes in the nation. Many roofs in Sarasota are covered with tiles, not just shingles. Since you cannot install a new roof over tiles, I recon the building code vigilantes require the removal of all roof types before a metal roof can be installed. Another reason could be that with no extra layer of shingles in between a metal roof and the roof deck, you get better adherence to the roof deck – more secure attachment by means of nails or screws going deeper into the wooden deck, as a wind uplift protection measure. By the way, with standing seam, it’s not necessary but preferred to tear off the old shingles before the installation to prevent the rubbing of shingles underneath metal (during the thermal expansion and contraction of metal) and telegraphing effects. Very interesting… I’m in the roofing industry myself, and just wanted to mention that they do have laminated asphalt shingles manufactured by Owens Corning or GAF that carry a 50-year limited warranty, and can be upgraded to a 50-year non prorated for just a few dollars more per square. A lot of the GAF architectural shingles carry 110 or 130 mile-an-hour wind warranty. The owner just has to make sure that the person putting them on the roof is certified by the manufacturer to be able to give them those warranties. This also should Ensure the installation is done properly. Also if you hire the guy down the street that’s running around in a pickup truck with a couple of his buddies ( because he low balled the price ) chances are he may not be able to give you the same warranties, and people sometimes find that out the hard way. It’s important to check companies out, and find out how long they’ve been in business. Just a reminder… 80% of all businesses fail within the first 6 months… so make sure whoever you hire has been around for a few years and check their track record out… just saying. “GAF and CertainTeed both have a range of warranties covering their various products. Shingle warranties are notorious for having loopholes that let the manufacturer off the hook for issues like faulty installation (and they’re very picky), poorly ventilated roof decks and attics, shingles installed in cold weather that don’t properly seal, airborne chemicals and more. GAF’s warranties are more stringent than CertainTeed’s, so there are more reasons for the manufacturer to deny you warranty benefits. 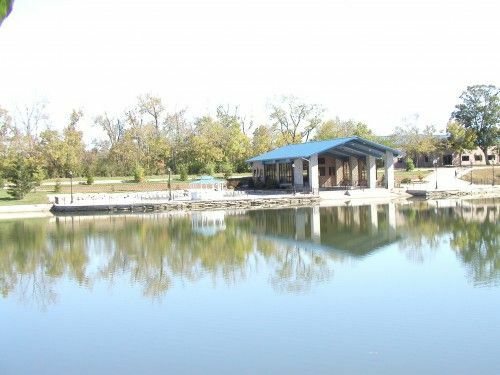 My family owns an event center in Ohio with three large venues situated around a 42 acre lake. This will be our 20th year in operation and my parents have recently turned the business over to my husband and I. While we’re exceedingly proud of the venues and the business my family has created, we’re both hoping to make a few changes to the appearance along with some much needed updates. This may be an absurd idea, (and my father won’t even entertain the thought) but we’re were hoping to possibly change the metal roof color of each building. When my father built them back in the 90’s he chose a blue color that must have been popular at the time. My husband and I feel that this time has passed, and we’re looking for any and all options at this point. I’d love to know what you think. Are we totally crazy in thinking this can be done? Will it even be worth it in the long run? The blueish color of the metal roof seems to integrate beautifully with the lake, but green, silver, grey, perhaps even a certain shade of red could probably work as well. Whatever you do, please don’t paint over the metal roof, though! You will be wasting your money and the paint will probably peel, unless it’s done in a truly professional manner, which under the open sky is a near-impossible feat. The only way you should even consider replacing the existing roof is if there is obvious rust or damage to the existing roof, which it does not look to be the case from the pictures. Thanks so much Alex for your feedback! I think we’ve been caught up in trying to make everything so neutral for the brides… we lost our minds a little while considering this option. It helps to know you think the roof goes well with the water… I’m guessing this may be what my parents were shooting for in the beginning. 2 skylights, the furnace chimney, and several vents (I know that 3 of them are for bathroom/kitchen exhaust fans). The rest of the vents I assume are for roof ventilation (there are 6 all in a row along the ridge of the house). There is also venting in the soffits. I do not have an attic, I have vaulted ceilings. At this time, I have no tree cover in my yard & my home sits facing East/West so it is in the sun all day long & my home gets very hot as a result. I live in central WI. 2) I have a question about ice/water shield. On one estimate, the contractor quoted for 3 ft of ice and water shield & another quoted for 6 ft. from my reading it sounds like 2 ft inside the wall space is to code. Which would you go with? Is more better in this case? Does it depend on the kind of metal roofing ? Please remember that my eaves are much smaller than a standard house. 3) Due to the sun/heat my roof will have to endure I am concerned with “oil canning” if I go with standing seam metal roofing. Is there something that can be done during the installation that can prevent it? 4) The last wind storm in my area had wind gusts of approx. 60 mph (which is how my roof became damaged in the first place). The prevailing winds usually come out of the West. Is there something that can be done on installation to help prevent wind damage in the future? 5) Can the venting be replaced with a ridge cap vent & still provide adequate ventilation? 1) Normally, a ribbed (R panels) metal roof should be considerably less expensive than standing seam. Ribbed metal roofs normally have exposed fasteners, so that is one downside, but if your roof’s slope meets manufacturer’s specs. then it could be a nice way to keep your house cooler in the summer. Make sure you go with a Kynar 500 equivalent, CoolRoof rated color. A metal shingles roof could be another less-costly than standing seam option for you. Flashing details around dormer and skylights may be tough with a ribbed metal roof. 2) Ice and water shield is more important to have for a roof covered with asphalt shingles where melted water can actually rise up underneath the shingles. I think 3 feet of ice and water on each side should be plenty. But, what about the underlayment? What kind of underlayment are you getting? You should be asking for a breathable synthetic underlayment such as Deck Armor by GAF. They sell it at Lowe’s and Home Depot. 3) If you go with standing seam and oil canning is a concern, there is a simple way to prevent it; getting mid-panel stiffening ribs, for the full length of a metal panel. Also, the wider the panel the higher the chance of oil canning to occur, so keep the width of the panel in mind. 4) Properly installed metal roofs should withstand the wind gusts of 100 mph and then some. You should check the system specs. before the installation. 5) Ridge Vent only works if there are soffit vents. So, the answer is yes, as long as you have soffit vents. Thank you so much for your response, it has been very helpful. My house is in a Pittsburgh neighborhood where most of the other houses have either terra cotta tile or slate roofs. The original roof on this house built in 1920 was slate shingles. The previous owner repaired a leak in one side with some cheesy looking asphalt shingles, and left the other side slate. The existing roof does not have any soffit or ridge vents. The estimates I’ve gotten so far indicate slate replacement would be about twice the cost of metal and about four times the cost of asphalt shingles. I’d like to keep the original look using metal shingles and upgrade the roof system by adding soffits and a ridge vent. But, I can’t find any metal shingles that mimic the original variation in color and size of the greenish gray slate. Any suggestions? Hi Bob, there is Tamko MetalWorks StoneCrest Steel Shingles with the pattern of Natural Slate. Their blue and gray colors might work just fine for your house. You can check out the colors and styles of steel shingles here. There is also a slate profile available in a smaller-sized metal shingle from Future Roof, a Canadian manufacturer offering G-90 Galvanized Steel Shingle with Slate impression. There’s also a company called Interlock — It’s really the same company, but Interlock differentiates itself by offering aluminum slate shingles via their installation division in the US. Please send us the before and after pictures if you end up going with a metal slate profile. Thanks for the pointers — they look promising. All of the shingles shown seem shiny, which real slate isn’t, so I wonder if there is a way to decrease that. Do they become less shiny with time? Also, slate shingles aren’t all the same color. What do you think about randomly mixing different metal shingles, for example Tamco’s quaker green, slate grey, and river rock brown, to get a similar effect? With metal shingles, there are matte or low-gloss colors and high-gloss colors available from different manufacturers. So, it’s really about taking a closer look at different color samples to see if one would be a fit. Keep in mind that different colors and gloss finishes will look different on your roof depending on the time of the day and the angle at which the sun is shining onto the roof. It’s true that natural slate tiles are not all the same colors, and there is a metal shingles product from Certainteed that claims to take that into the account. However, the truth is that you will always be able to tell a metal slate impression roof from natural slate. As far as mixing the colors, I think it’s probably not a good option with metal shingles. However, if you are trying to replicate the look of natural slate on a budget, there is a synthetic composite shingle product that may do a better job at emulating the look of natural slate including the mixture of colors than metal shingles. Second question. Is there any risk of dissimilar metal reaction causing corrosion if copper gutters are used with aluminum or steel shingles? What material should be used for flashing with metal shingles? With metal roofing, the flashing material is always made from the same metal. As far as installing copper gutters, they would not really be in contact with a metal shingles roof, since they are normally attached to the fascia boards. I am considering replacing my asphalt shingle roof replaced by a metal roof (Master Rib). In getting quotes, I was told by one roofing contractor that they often will begin leaking after 5 to 7 years due to the exposed fasteners. He recommended architectural shingles instead and said that the problem is so prevalent that he would not install that type roof. I am located in the middle Georgia area and not near the ocean and there is seldom snow in the area. Is that an accurate statement that leak problems develop that quickly? I also read one article saying that houses with metal roofs usually sell for less than ones with asphalt shingles. Is that true? I want to make a good decision as to cost, but also as to quality and the effect on home value. You are getting a lot of bad info. Master Rib with exposed fasteners will not leak in the first 15 years due to exposed fasteners, as long as it was installed correctly. But, if you are concerned about exposed fasteners, there are standing seam metal roofs and even some Ribbed panels (R-panels) with concealed fasteners. Regardless, with sufficient roof pitch and quality paint finish such as Kynar 500, your metal roof will outlast asphalt and will provide better ROI in terms of energy savings, and home appreciation. Just make sure to avoid the cheaper polyester or acrylic paint finishes when it comes to the choice of metal panels for your roof. Also, make sure that a minimum panel thickness for your metal roof is in the 24 to 26 gauge range. The lower the gauge the thicker the metal. Avoid 29 gauge steel as it’s too thin, and hence poorly suited for residential applications. Make sure your installers use a breathable synthetic underlayment to ensure long roof life and prevent deck rot issues. In 15 years or so, you can have the screws re-tightened and washers replaced to prevent any leaks from developing. Also, I prefer higher pitch for exposed fasteners. Are there issues with cell phone or internet service when having a metal roof as opposed to shingles? I’m doing the research to replace my cedar shingle roof, which is failing (it is original to the house, 1985). Some of the shingles are nearly 2 inches thick, nice quality shingles. However, we want a metal roof. The house is about 100 yards from the Pacific Ocean, so I understand from reading this site I should be looking at aluminum, and a thick gauge since I’m in Oregon with extreme winds, at times. My question concerns the fasteners. Do I understand correctly that the standing seam roof uses fasteners that are not exposed to the elements (salt spray)? A contractor I talked with indicated the metal roofs in this area have had problems with rusted fasteners even if the roof is okay. I wonder if they did other type of metal roofs, or if I’m just too close to the ocean to have metal. Also, I went to the 150Points.com web site and there are no contractors in my area for over 100 miles. The down side to living the quiet life. Can a regular contractor be trusted to properly install a metal/aluminum roof? Thank you. This site has great information. Yes, an aluminum standing seam roof would work just fine near the ocean, provided it was installed properly. You have a choice of .032 mils and .040 mils when it comes to the thickness of your aluminum roofing panels. Generally speaking .040 mils panels will be stronger and sturdier than .032 mils panels. The difference in the cost of materials will be around 10% to 15%. If your roof does not have a lot of span, then .032 mils panels will work just fine, however if the panels have to be 20 feet or longer, then you should go with .040 mils gauge for the aluminum panels. Either thickness will work for most homes. Concealed fasteners will be specified by the manufacturer and are not a subject to rust. You should also check for the wind up-lift ratings for the system you choose, and make sure the contractor follows manufacturer’s specifications and/or installation requirements including ventilation. You can often hire a crew that is not local for a metal roofing job, if you are willing to pay a little extra for their travel distance. I would not recommend hiring a regular roofer to install a standing seam metal roof. Precision and quality of the installation are critical for having a long-lasting metal roof. Only experienced pros should be hired to ensure quality of the installation, along with having a meaningful warranty on labor, etc. Lastly, you may want to consider having stiffening ribs / striations for your aluminum panels to avoid oil-canning of the metal. What about all the bad things I hear about Decra metal shingles? People say they leak. I’m in Iowa. I’m not sure about Decra, Gerard, or other stone-coated steel roofing products. Maybe contractors who install them can weigh in. Personally, I am not a big fan of stone-coated steel products, because they sort of look like asphalt. I prefer the clean look of metal. Hello and question: we had a metal roof installed on our new construction home. If material is a limited lifetime warranty and workmanship is a 10 year warranty, what is a guess-timate of the value of such a warranty? Thank you! If there are no problems with the roof over the next ten years, chances are you are not going to need the warranty beyond that, as far as rge workmanship is concerned. It is the quality of installation that matters the most. If the company, will in fact stand behind their work for the next ten years, then I would say it’s a good start. Make sure they use breathable underlayment, so you don’t end up with deck-rotting issues, which can happen with non-breathable synthetic underlayments. Hi Alexander, great tips. My issue: we had a hail storm in May this year. Insurance adjustor noted damage to my standing seam (24 gauge) galvalume roof. I did a bit of reading on the subject and learned that hail can caused microscopic cracks in the protective surface leading to corrosion and early roof failure — leaks. No leaks now and roof looks find. I was just wondering is painting the roof is an option. One last condition: we use rain water collection from the roof for our sole source of water so that nothing toxic can be used on the roof. If I replace the roof, would aluminum be a better choice? If I stick with galvalume should I go with a thicker gauge metal? I would not recommend painting a metal roof, because it’s not only costly, but it’s also difficult to do a high-quality job (Kynar 500 should be a gold standard of paint finish application for metal panels), when it’s not done in a property factory setting. One way to ensure you have no issues with corrosion is to use aluminum. A bare metal aluminum roof such as standing seam could be a great option for rainwater collection and longevity. Galvalume (zinc and aluminum coated steel) can also be an option. Thicker gauge metal is always a good idea for longevity. Please let us know what you decide. New roof pictures would be appreciated! We live in The Lower Western Mi. We would like to replace our roof with a metal roof. I was told that the vertical roof would leak after 6-10 yrs due the Thaw and freeze climate in Mi. He said that the panels would expand and contract and cause the holes where the screws are put in get elongated and evidentially cause leakage. What do you recommend? Great question! So, it sounds like you are referring to a metal roof with exposed (through screws exposed to the elements) fasteners such as corrugated, or ribbed metal panels. I have recently bought a house with an older roof that needs to be replaced soon. So, I am trying to decide on whether I should go with a metal roof or shingles. Your article has cleared a lot of misconceptions I’ve had before. We live in South Florida and is at the point where our current shingle roof needs replacing. We are considering doing a metal roof, or going back to shingle. Cost maybe a factor for us with the metal roof. However, if we do decide to do metal, what advice would you give? I was told by one contractor, that metal roofs are not good, as if there is a hurricane the way metal is installed, it may take the entire roof off, not just the metals. On the other hand if we decide on shingle, we want a modern look and longevity, so which type of shingles would work? The roofer you consulted is either purposely misleading you or does not know what he is talking about. While most asphalt shingle roofs get blown away in a hurricane, most properly-installed metal roofs remain on houses they were designed to protect. That’s why many architects prefer metal over shingles when specifying roofing systems for homes. Since most modern metal roofs are rated for hurricane-grade winds, you’ve got nothing to worry about with a properly installed metal roof. Energy efficiency and longevity are also important to consider even if the initial/upfront cost of a metal roof is higher than shingles. As far as your concern about wind uplift, most asphalt shingles roofing systems are only rated for up to 60 mph winds. Should you decide to save a bit of money upfront and go with shingles, look for a system that is rated for hurricane-grade winds. Look for a high-end architectural/dimensional (heavier and thicker grade) of asphalt shingles from companies such as GAF, Owens Corning, or Certainteed, but remember their warranties are pro-rated and pretty much meaningless. — The roofer should also use 8 nails per shingle to make it less prone to being blown away in the storm. With metal roofs, many systems are rated for 110 to 160 mph winds. I know stone-coated steel roofs from manufacturers like Gerard or Decra are popular in Florida, although I personally prefer the look of metal shingles or better yet standing seam (more costly). You can find a quality roofing contractor and estimate the cost of installing a metal roof on 150 Points. Their database of roofing pros is growing, and their roofing cost calculator is second to none. Good advice, thank you and I will be guided accordingly!! Just wanted to add my experience. My husband and I installed a standing seam metal roof on our home in the Bahamas. This past Oct, 2015, the home ( with us in it!) went through a Cat 4 hurricane. It was on San Salvador Island. Our roof had NO damage, while the house next door with shingles, had the entire roof taken off. The best investment we have ever made! Thank you very much for sharing your experience! I am sure a lot of people living in storm-prone and coastal areas will find this helpful. Hope it does help someone with the decision on whether to go metal or shingle. No comparison, in my opinion! My husband and I are about to start building our house and are trying to decide on what type of roof that we should get. Personally, I really like the idea of getting a metal roof, because of the longevity factor. Plus, I also like that it would save us money in the long run as we won’t need to repair or replace it again. However, does this longevity factor also help give more value to the overall house? Is it ok to have a contractor install a metal roof over top of shingles with some algae on it? Does it take that much longer to install metal shingles compared to asphalt shingles? Here, for a shingle roof like mine (2800sqft), the roofers want $7K for asphalt and $20K for metal. I checked the prices for metal shingles materials and it amounts to $8,100 for my roof, meaning the roofers want $11K for the installation — that seems prohibitively high compare to about $4K in labour for the asphalt shingles. I think I will stick with shingles with the hope they will last 12 years again. We installed a steel roof on our cottage in 1995. We are located north west of Kingston Ontario so lots of cold, snow and then hot summers. Haven’t had one issue with the roof but now I am tired of the colour and would like to update. (It is green and I would like to change to a taupe or grey) I am afraid to paint it as there have been so many cases where the paint starts to peel off. Is there a paint product that will adhere to the steel and not peel and last another 21 years? I am having trouble finding someone in my area (Austin, TX) who is experienced in painting metal roofs. People seem to think it is very odd when I say that I want to do it. I hate the color of our roof, so want to update it with a new coating of paint. Do you have any advice as to where to look for someone to do this task and what type of materials I should be asking for? The key is to use the type of coating that is on par with Kynar 500/Hylar 5000/Alunar coating. Not acrylic, because it will chip and peel. Check out with metal roofers in Austin, TX on 150 Points here. Thank you for sharing all of this information about metal roofs. I have debating on what type of roofing I want to have installed. I am trying to decide between cedar and metal. Both of them last much longer than asphalt shingles. It’s good to know that having metal roofing does not increase the likelihood of being struck by lightning. My brand new 24 gauge Kynar 12” wide standing seam roof is suffering serious oil-canning in the summer here in Vancouver, BC. And, Vancouver ‘s not really all that hot. 1) forming stiffening ribs in the middle of the panel, which I’m guessing was not done in your case. 2) Allowing for thermal expansion and contraction of the panels by using clips that allow for thermal movement during the installation, or installing nails/screws in the middle of the nail strip to allow for expansion and contraction. Since, those aspects of standing seam can only be achieved during the installation process, your only remaining option is to make sure your attic space is properly and adequately ventilated in order to keep it (and your metal roof) nice and cool during the summer and winter. Are there any soffit and ridge vents on your roof to allow for air circulation? I have a few questions. As far as condensation issues with metal roofs. If using Grace membrane on top of plywood sheathing with 1″x4″ purlins 2′ on center horizontally under the metal sheathing – with Styrofoam sheets between the purlins. ( Do you need to add the Styrofoam sheets between the purlins?) I understand they have different R-values depending on what you want – but are they necessary? Does this moisture evaporate on its own? also, for the top where the ridge vent is – they offer foam blocks that match the profile of the metal roofing – If you use the same blocking material for the drip edge side – how does the moisture accumulation evaporate? Is there something else offered for the drip edge side to keep insects etc out. First of all, never ever block the soffit vents (over by the drip edge) or ridge vent, that’s your roof’s ventilation (breathing) system, with soffit vents playing the role of air intake circulating through your attic space and escaping via the ridge vent (exhaust). If you block it, your attic space will get warm and moist exposing your home to ice dam related issues during the winter, as well as moisture and deck rotting issues year round. Is grace membrane a breathable underlayment material designed to allow any moisture and condensation to evaporate? If not, I would recommend going with the GAF deck armor breathable synthetic underlayment. I am thinking about putting a metal roof over shingles. My question is when you start a screw in the metal and hit a nail head from the shingle or plywood what do you do? You can simply apply some silicone over the underlayment where you made a hole when hitting a nail head. Yes, you need to have underlayment installed in between the old shingles and a new metal roof. I have a metal roof. I live in western mass. My problem is that we have a very old white oak that towers over our house and its sap stains the roof, the snow does not slide off because of it! Do you know of something to remove the stains? Also it’s a red color roof. Thanks! Most surface soils or stains from industrial fallout, tree sap or chimney affluent can be cleaned up with non-abrasive household detergents. A mixture of one part Ivory to three parts water is recommended as a general purpose cleaner. The solution should be applied with a clean, soft rag or sponge using a gentle rubbing action! Please be careful, as vigorous cleaning will remove the stain resistant surface and therein develop further staining in the future. Rinse immediately and thoroughly after washing with fresh water. See more info on metal roof cleaning here. I’ve checked out their horizontal seamless panels product-line, and the only potential concern I see is that it’s made from G-90 galvanized steel (steel sheets dipped in hot zinc), not galvalume (zinc and aluminum coating). It’s generally preferred to go with galvalume vs. galvanized steel. — This may not be much of a concern, if you don’t live near the ocean, with high concentration of salt spray in the air. Further, there is some concern with panel expansion and contraction given the potential length of the steel panels being installed. Lastly, you need to make sure your home has a sufficient pitch for their seamless system. I would check with the manufacturer to see if your roof would be a good candidate for this system, and whether they have an approved installer in the area. Make sure that only trained and experienced installers work on your roof. Remember, metal roofing is not the same as shingles. It requires specialized skills, tools, training, and equipment. You also want to make sure the company will be around to honor the labor warranty should there be any issues. Make sure you check a potential contractor’s reputation before signing a contract! My husband and I live in the Midwest and know we want a steel roof, but we are looking for info on horizontal steel roofing like what ABC seamless sells, if anyone has it and if it is a good as standing Seam roofing? Can you tell me about the range of manufacturers and quality standards to consider for standing seem less panels? I am in northern Wisconsin. Where do we source product besides Lowes. Many building materials warehouses including ABC Supply, Beacon Supply, and Harvey’s Industries will often carry metal coil from manufacturers such as Atas, Fabral, Peterson Aluminum, etc. Look for EnergyStar and CoolRoof ratings and certifications. Paint coating wise, Kynar 500 coating is one the most widely used industry’s paint finishes backed by a 30 year warranty. Look for a warehouse that has a dedicated metal fabrication shop to form the panels for you. The building supply store will also tell you about other options in terms of ordering metal shingles, tiles, standing seam, corrugated panels, and any other options. The person in charge of their metal roofing products can share a catalog covering various types of systems, colors, and their costs. We have a 100+ year old cottage that is in the middle of a freshwater lake in Michigan. It is on Cases’s Island in Fenton Michigan. We are seriously considering a metal roof as it would be the last roof the house would need in our life time and because it is on an Island it is a logistical nightmare to get the old shingles off the island and back to mainland. Which roof would you recommend? We have been given a quote for “barn Steel” not much more than a few hundred dollars compared to traditional shingles. Can you please advise? Here is a link to a photo of the cottage. I am thinking of going with a green roof. As far as your concern of getting old shingles away from the island, you may be able to roof over the existing shingles, with metal shingles, if there are currently no more than one layer of shingles in place. However, if there are currently two or more layers of shingles on your roof, it may be a wiser option for you to do a tear off (perhaps in section) before a new metal roof is installed. If you prefer to have a pricier standing seam panels option (it’s the same in terms of quality as metal shingles, but panels do cost more.) installed, I would advice performing a complete tear off of the old roof before standing seam is installed. All other things being equal, the quality of installation is the key to having a long lasting metal roof, so make sure you do your due-diligence when selecting a metal roofing installation company for this project. Also, all other things being equal, I would recommend aluminum vs. steel as there is not really that much difference in cost of aluminum vs. steel, whether it’s metal shingles or standing seam. Should you decide to go with a barn roof/corrugated roofing panels to save money, make sure you go with the higher-end of the panel such as Kynar-coated aluminum, or galvalume steel. G-90 steel would be next in line. Avoid G-60 and acrylic paint coatings. Finally, make sure there is an installation warranty provided with the job, and that the company has been in business of installing metal roofs for some time before you trust them to install a metal roof on your home. I live in the tropics, about four years ago I installed metal (alumzinc) stone coated tiles manufactured in New Zealand. In less than two years, I experienced stone loss on my stone coated roof. Every time its rains the stone coating is washed out by the rain water. Recently, I called on the local dealer of the imported roof tile from NZ to inform them of the severe stone loss of my roof. They got a sample of my roof and send it to NZ for testing and evaluation. I was told that the roof sample is covered by black algae and no plausible reason why there was stone loss. I was told that under the warranty, stone loss due to growth of organic matter could rescind the warranty. The warranty period is 25 years for the surface coating and 65 years for the metal sheet. If I may borrow the words of Alex, I agree with him that most warranties are not worth the paper they are written on. Almost all warranties are in favor of the manufacturer and the homeowner has no say to it. They will always find ways not to pay or replace the defective material as in the case of my NZ supplier. I think the brand I am referring to is also available in your country and through my travels I have see this type of material installed in many homes. I was wondering about what the down side is between wider panels vs, narrow? 21″ and 14″, besides aesthetic preferences… Also, with the thickness 24 versus 22 gauge? Other than the obvious, does it make that much difference? There is a greater chance of “oil canning” of metal with wider panels. The greater the thickness the longer the steel panels will last. Are you close to the ocean? Is this for a house or barn? Let us know what you decide, and share some pictures once the roof is installed. Good Luck! For anyone considering NOT installing a metal roof due to the additional costs or because you think that a 30-year or lifetime warranty on asphalt shingles is good enough, you should do some investigation of just how little the shingle companies stand behind their product. We put a lifetime product on our lakehouse about five years ago and the shingles are failing rapidly. The company, BP spends virtually zero money of honoring the warranty. All of their energy goes to avoiding any payout on their warranties. Read the warranty and you will see that they only cover materials (about 25% of the cost of a roof) but real life experience shows that you will never get them to pay. You would have to hire a lawyer and go to court and would spend more than you would ever get. There is a class action suit against BP and I believe there is one against IKO too because their products fail quickly and they refuse to pay unless ordered to do so by the courts. I expected my “Lifetime” warranty would at least get me to 15 or 20 years. The product has barely made five years. I should have installed steel on day one. By the way, my contractor has the same problem as he installed the same shingles on his own home and the manufacturer just says “no”. Thank you for sharing your experience, which I think many homeowners can relate to. I agree, most asphalt shingles product warranties are not worth the paper they are written on! Almost all manufacturers of asphalt shingles use prorated warranties, meaning that they will never have to pay a full amount for brand new replacement materials, even if you can prove that your roof failed due to manufacturer’s faulty products. Hopefully your perspective will help some homeowners see the light, when they are at the crossroads of having to decide between composition shingles vs. metal. So, did you get that faulty asphalt roof replaced with steel roofing? If so, did you go with standing seam or metal shingles? How do you like it? Once again, I’m sure many homeowners will appreciate your take on this. We live in Maryland near DC. We have both cold winters and hot humid summers. What color metal roof would offer the most energy efficiency? The lighter colors tend to be more energy efficient than darker colors, with white color being the most energy efficient in terms of its solar reflectance. Look for a CoolRoof and Energy Star rating for the color and system you consider. The article mentions that standing seam metal roofs should not be installed over asphalt shingles. Yet, a contractor I have been speaking with says if you install underlayment between the shingles and the metal, there is no problem. Do you agree with this? In short, it’s best not to install standing seam over asphalt shingles. Even with underlayment, expansion and contraction of the metal will eventually cut the underlay, and granules in the shingles will scratch galvanic coating off of the metal panels causing rust. If you use aluminum this will not be an issue, but aluminum is an expensive LIFETIME roof, so putting it over shingles (where removal is a small fraction of the total cost) and not addressing any rot and ventilation issues is just careless! Best advice – remove shingles, repair any problems with the roof deck and ventilation, and only then install your LIFETIME roof! This is the same advise our roofer gave and we trust that this is the way to go. Thanks for your professionalism. I live in Arizona, in an area that regularly experiences extreme wind and hail storms that can easily damage siding, windows, and roofs on houses around here… I have recently bought a house with an older roof that needs to be replaced soon. So, I am trying to decide on whether I should go with a metal roof or shingles. So far, I’ve gotten a couple of roofing estimates, and standing seam metal roofing came in at about twice the cost of 30 year shingles. I am wondering if a metal roof is worth the money? The contractor also says that I can get a far better insurance rate with a metal roof. As far as I can tell, a standing seam metal roof may indeed be a better option for you, and here is why; you mentioned that the area you live in is subject to some serious winds and hail storms that can easily damage an asphalt shingle roof. If you go with asphalt, there is a significant risk of some serious roof damage from wind and hail down the road. You may save some money today, but you may well have to replace your roof again, just a few years from now, at which point I am pretty sure you will go with metal. Why not do it off the get go!? – You could get security and piece of mind by installing a metal roof, which would be a much better defense against strong winds and hail storms compared to a 30 year shingle roof. We bought a metal roof, one with the pebble like coatings glued on in 2004. Was beautiful at first. One side, south, started to have the coating come off and the company we bought it from said it was just a bad batch and they replaced it. Since then the whole roof has the coating coming off leaving a rust looking roof. Also in the meantime the company either went bankrupt or sold to another company. We are not getting much use of the 50 year warranty (sales bull) that was a big part of the sales pitch we fell for. Now, the new company is still selling steel roof with coatings that are “supposedly” much superior then the old. Since our problem started we have looked at a lot of metal roofs in Ontario and see the problem is very prevalent. We are getting prices on having the old metal taken off and replaced with this new stuff. Hope we don’t fall for their bull again. My advice is don’t buy a metal roof with the stone coating on it. It may look good for eight or ten years but not the last 40 years off the useless warranty bull. Thanks for this information, we are in process of purchasing a metal roof and it’s good to read your honest remarks.